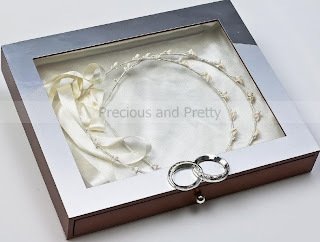 Stefanothiki is one of the Greek wedding traditions, a box to place your stefana (crowns) after the wedding ceremony, in order to be protected. 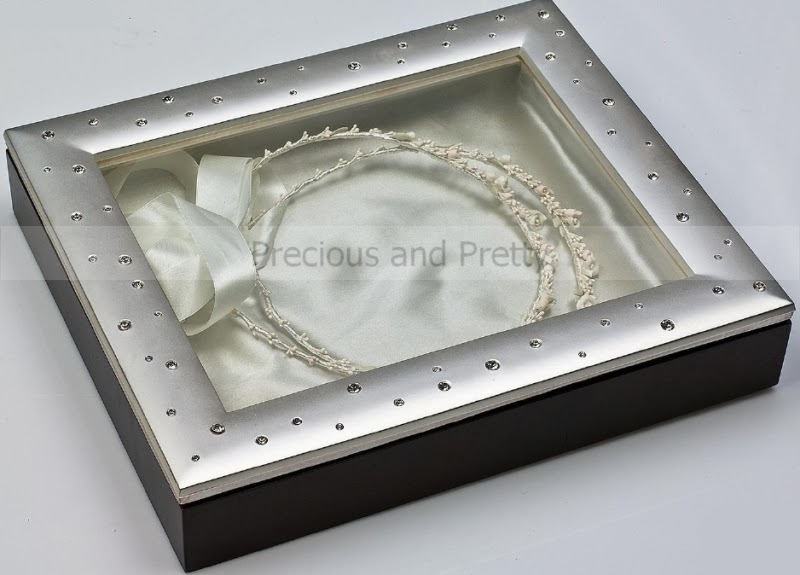 In Greece it is very common to put the stefanothiki on the bedroom wall above the couple's bed. Stefanothiki in a rectangular shape with a wooden base and metal coating on the lid, which decorated with rhinestone details. Padded inside with ivory satin fabric. Price 110 euro VAT included. Shipping cost not included. *The wedding crowns inside the stephanothiki are not included in the price. 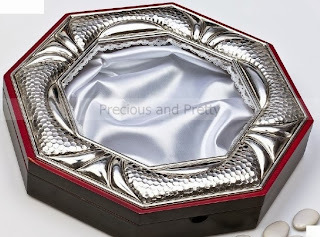 ﻿Stefanothiki in polygon shape with a wooden base, forged silver plated coating on the lid and white satin fabric inside. Price 60 euro VAT included. Shipping cost not included. Stefanothiki in oval shape with a wooden base, forged silver plated coating on the lid and white satin fabric inside. 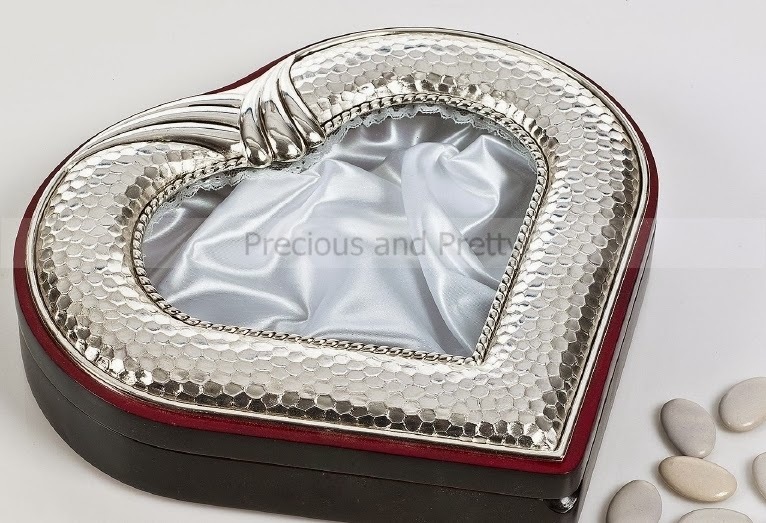 Stefanothiki in a rectangular shape with a wooden base, metal coating on the lid, which decorated with two wedding rings. 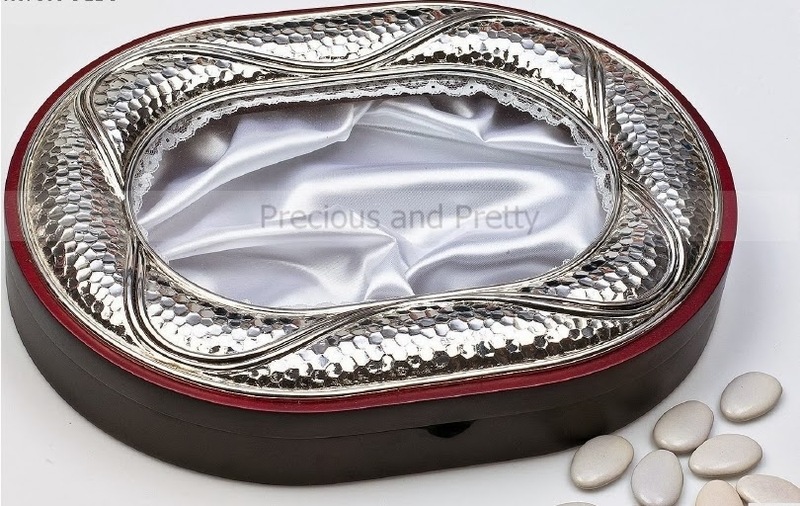 Padded inside with ivory satin fabric. Price 85 euro VAT included. Shipping cost not included. Stefanothiki in heart shape with a wooden base, forged silver plated coating on the lid and white satin fabric inside. 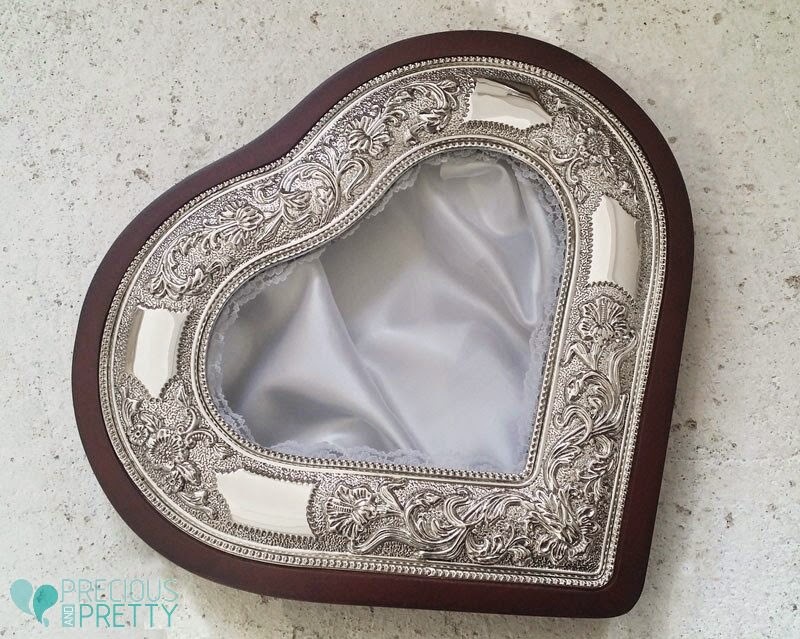 Wooden heart shaped stefanothiki with engraved silver plated covering on the lid and white satin fabric inside. 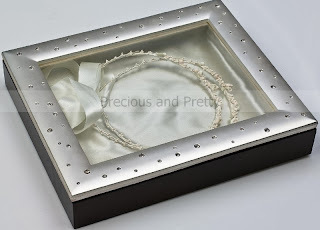 https://www.preciousandpretty.com/2013/11/stefanothiki-boxes-for-stefana.html Greek Wedding Favors|Orthodox Crowns|Stefana|Baptism Invitations Stefanothiki boxes for stefana this post is about stefanothiki a box which is used to place the crowns stefana after the wedding ceremony Product #: Greek Wedding Favors|Orthodox Crowns|Stefana|Baptism Invitations_2713501159135654341 5 stars out of 5 reviews.